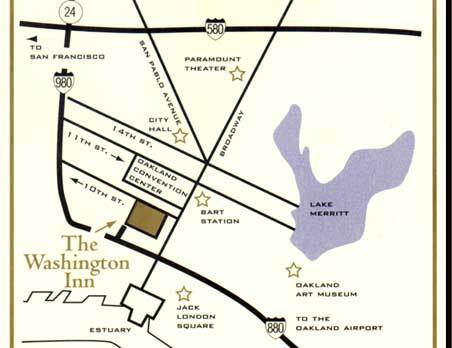 We are located in "Old Oakland" in the heart of downtown. Ideally located across the street from the Oakland Convention Center, nearby shopping, cinemas, Jack London Square, Bay Area Rapid Transit (BART), chinatown, and other fine restaurants and night spots. The hotel is only a seven minute drive from the Oakland International Airport and approximately a 12 minute drive from downtown San Francisco.